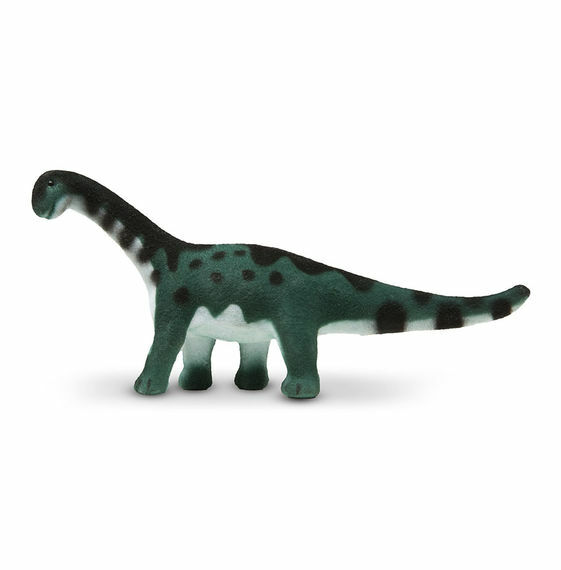 These prehistoric pals are the life of any dinosaur party! 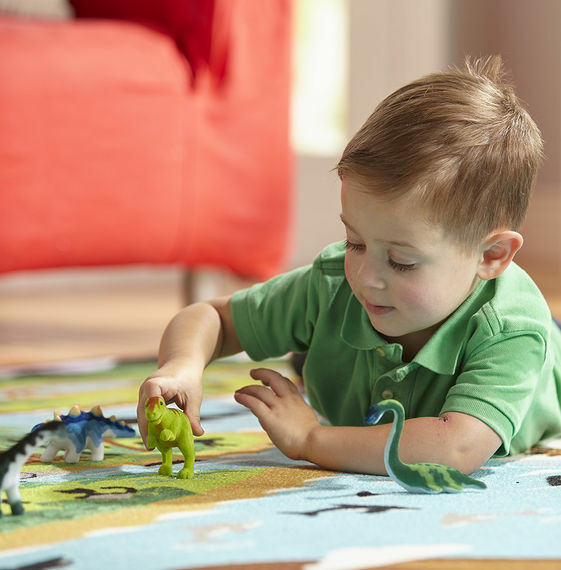 This collection of 9 realistic felt-covered miniature models of prehistoric creatures includes some of the most recognized and popular species, ranging from the small but super-swift Velociraptor, to the “king of the dinosaurs,” T-Rex, to the gentle giant Apatosaurus. 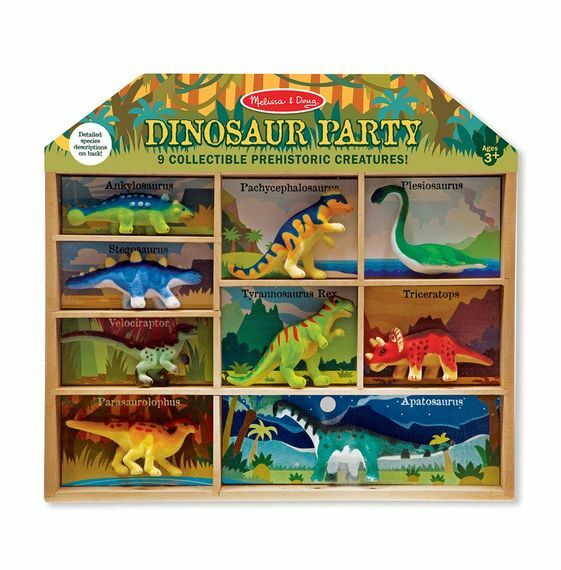 The dinosaurs store in individual labeled compartments in a sturdy wooden storage tray. Information on all the species is included. Kids three and older will love to play with, learn about, and “bring to life” giants who walked the earth millions of years ago!